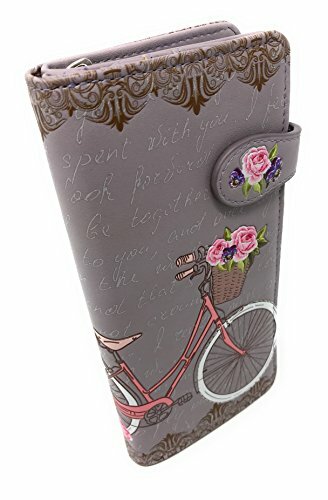 Top Cute and Girly Wallets for Sale! I found the cutest girly wallets for sale girly girls! Cute wallets are another must-have for girly women! Colorful and happy wallets spell girly women! We love colorful stuff and of course we love cute and extremely colorful wallets! 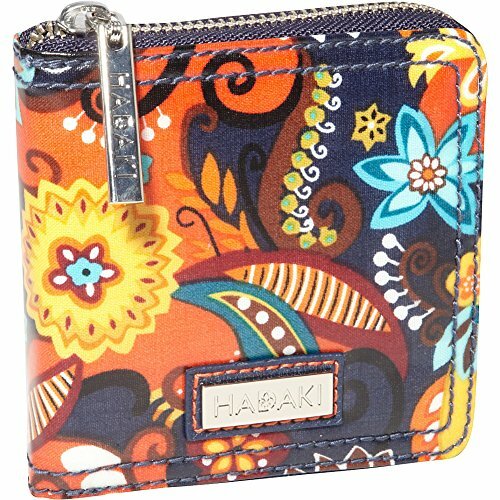 This cute and colorful print wallet has a lot of space for your credit cards and cash! It also makes a wonderful gift to any girly girl in your family! I love the fun turquoise color and flower prints! You can’t go wrong with these cool Hadaki wallets! They all have fun and colorful designs! It’s a retro owl wallet! It will make a wonderful gift idea to any owl lovers in the family! You can also get it in over 30 other cool and happy designs and colors! It is also a cute and girly wallet because of all the fun colors! Can’t get enough of these cute and unique colorful print wallets? Here it’s another cute wallet for you! It’s a vintage Paris bicycle print wallet! It is rather large and it has 11 credit card slots! Makes a wonderful gift idea to any owl lovers or girly girls! Cute wallets also need to be very unique! This white kitty black wallet is both cute and unique! It shows a lovely kitty traveling in Paris! She is a little angry though…. Perhaps her boyfriend stood her up…. 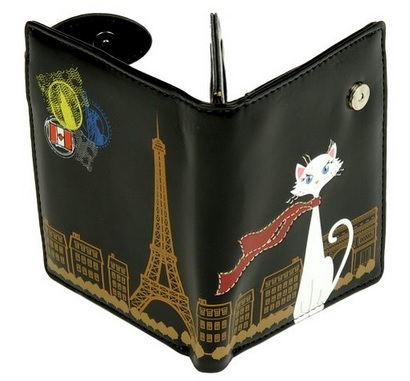 This cute and adorable wallet will make a great gift to any cat lovers! My Favorite Girly Wallets for Women! 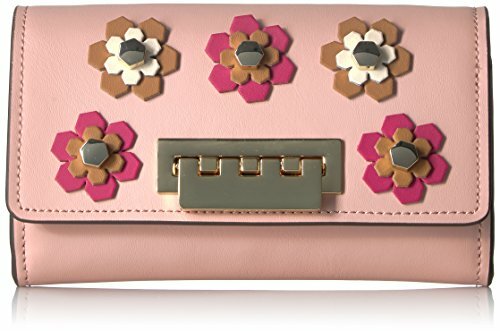 How cute and fun is this pink flowers wallet? I am in cute wallets heaven! 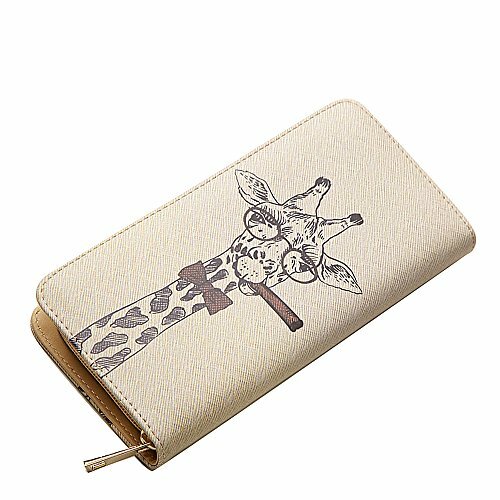 It is a cute giraffe wallet! She is happily enjoying a cigar and she is also happy to be going home with you today! She says she is very spacious inside! Girly women also love colorful leather wallets! 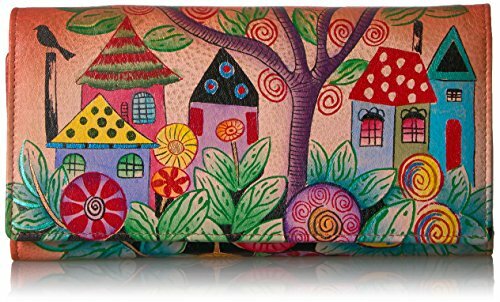 This is a gorgeous and very unique hand-painted leather ‘Village of Dreams’ design wallet! 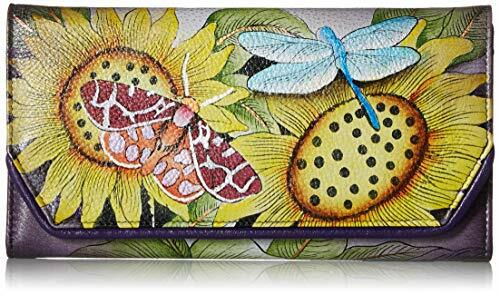 Have you ever seen this beautiful hand-painted sunflowers, dragonfly and butterfly wallet before? It is so exotic and unique! It is the perfect size for a wallet and will hold everything you need. There are also two other beautiful designs to choose from! 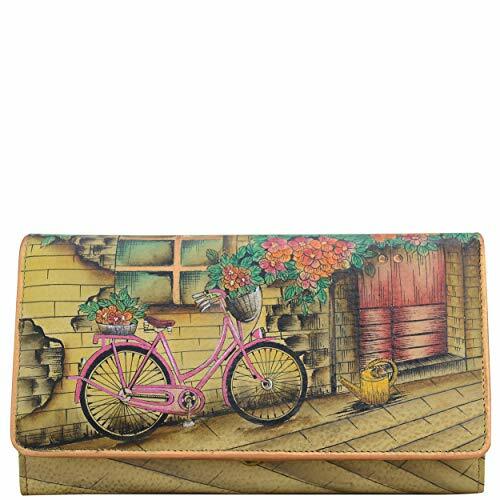 How absolutely gorgeous is this colorful vintage bike design leather wallet? It has the most beautiful colors and it’s made from genuine leather. This cute wallet will make a fun and unique gift to someone you love! Top Cute Wallets for Women! 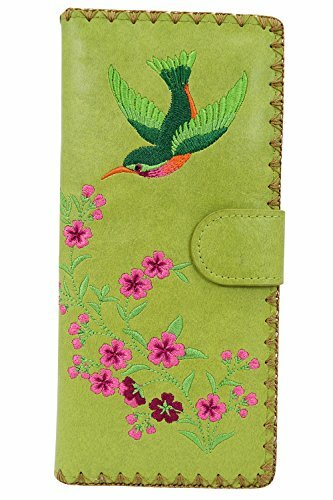 What a gorgeous hummingbird and flowers green wallet! 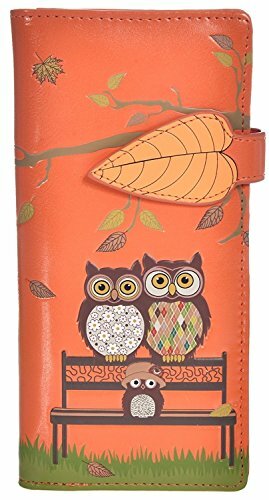 This cute and girly wallet will make an awesome gift to a bird lover! This is the cutest and most colorful girly hearts wallet I have ever seen! 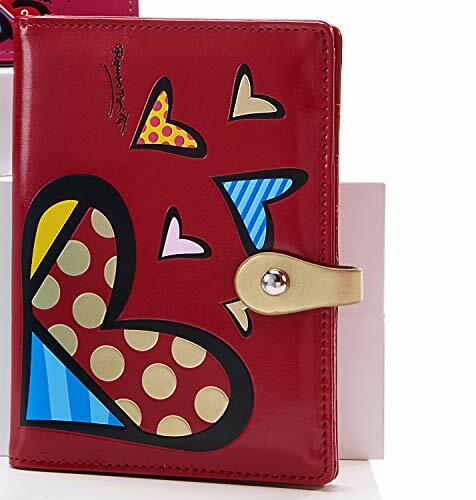 It is an authentic Romero Britto heart print passport holder wallet! It is super affordable too. 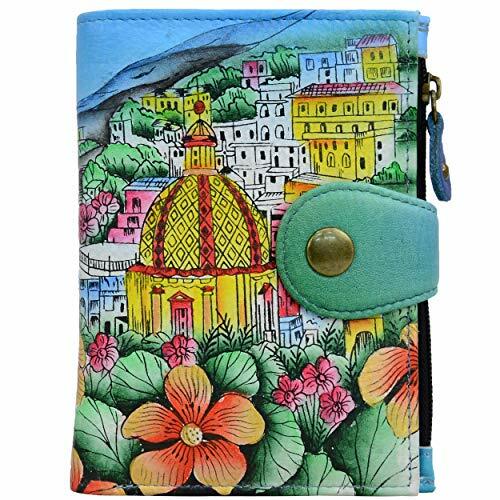 How cute, colorful and girly is this artsy leather wallet? I absolutely love all the colors and fun design! 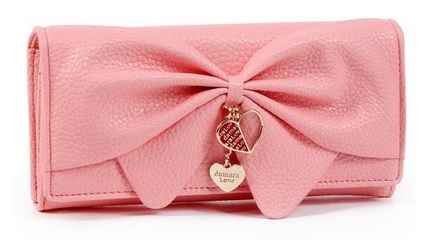 Another cute and ultra-girly wallet! This one is pink and it has a lovely bow design and a cute heart accent too! You can also choose it in several gorgeous colors, besides this pink, including red, white, blue, fuchsia, brown and turquoise! They are all very cheap too! *I hope you liked my selections of cute and girly wallets for sale! How about getting a cute pair of sunglasses now?